Dave and I love casseroles — especially in the cooler fall and winter months when warm leftovers for lunch the next day really hit the spot. This recipe has been one of my favorites since I was a kid — and it seems Nora is quickly following in my casserole-loving footsteps! Today, I’m sharing a super simple recipe — AND a simple casserole-making tip I use regularly to reduce the number of dirty dishes I need to wash and reduce the amount of time it takes me to get dinner on the table. Win, win! In a large rimmed pan, cook rice according to the package directions. 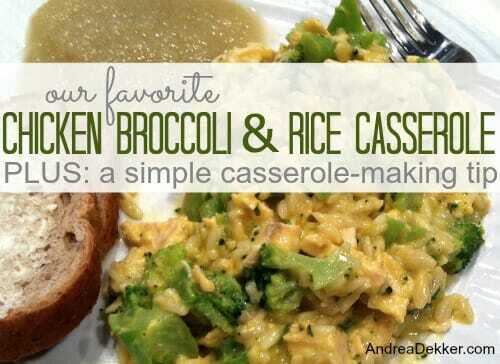 Add frozen broccoli to the rice with 10 minutes left (the rice usually needs to simmer for 20 minutes total). Add chopped chicken with 5 minutes left on the rice. 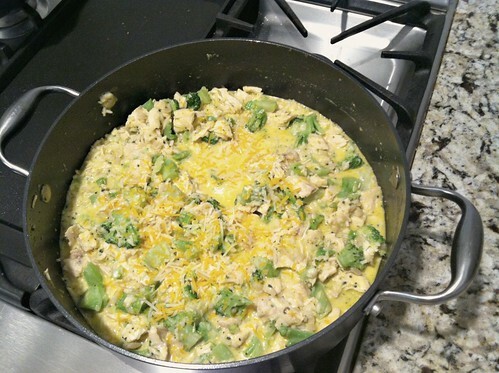 Nora loves broccoli, rice, and cheese, so this recipe (if you can even call it a recipe) is a winning one for our family — especially since leftovers heat up fabulously for lunch the next day! If you’re a big casserole fan, you’ll want to add this recipe to your meal rotation… but you’ll also want to keep reading for my SUPER SIMPLE casserole-making tip! You know how most casseroles require you to pre-cook all the ingredients, then assemble them in a baking pan or casserole dish, and THEN bake them in the oven for 20 minutes or so? Well, I don’t do the last 2 steps — and I save about 30 minutes of time, wasted energy used by my oven, PLUS a whole bunch of unnecessary dirty dishes. Here, let me show you via the steps I took to make the recipe above. You only need 2 chicken breasts for this recipe but I boiled extra for the freezer. 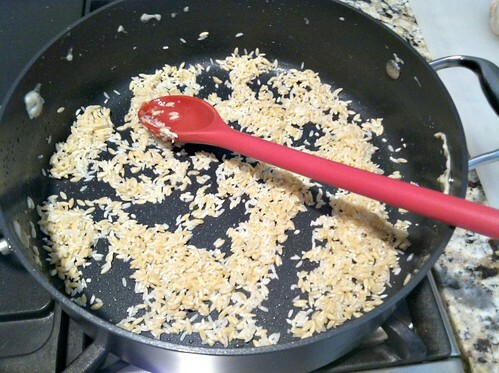 SETP 2: Cook the rice in the same pan. While the rice is cooking and simmering, I chop up the chicken. STEP 3: Add frozen broccoli with 10 minutes left on the rice. You can use any vegetable you like, but if they are frozen, you don’t need to cook them first — just add them when there’s about 10 minutes left on the rice. You can add a little more water if necessary, but I’ve never had to do this. Also, if your vegetables come in the steamer bag, you could microwave them for part of the time and then just add them with about 5 minutes left on the rice. STEP 4: Add chicken with 5 minutes left on the rice. The chicken (or whatever meat you’re using) is already cooked — so you just need to warm it up again. STEP 5: Add cheese or additional toppings and serve. This is optional, but I’ve noticed that most casserole recipes call for cheese or some sort of crunchy topping. Well, when everything is heated through, just sprinkle the top of the dish with cheese or whatever, then put the lid on for a minute to melt the cheese. Serve straight from the pan — and enjoy only washing ONE pan!! I realize there are some casseroles that would not work with this method, but you’d be surprised how much time, energy, and dishes you can save by getting creative and tweaking the recipe slightly if necessary. If I would have made this recipe “as directed” I would have ended up with 3 separate pans AND a casserole dish to scrub clean. Plus, dinner would have been delayed by at least 20 minutes — with almost no difference in the taste of the meal. Dave and I enjoy our casseroles right out of the pan just as much as out of a fancy casserole dish baked in the oven! What are your tips to minimize dinner prep? I’m so glad I saw this the other day. I just noticed it is an older post, but I swear I saw it on Facebook recently. Anyway, I made it tonight and it was a hit! I love that it is so quick and simple! Thank you for sharing, this will be going in our rotation! Hi Paige, I actually just posted this recipe last week — so you’re not imagining things 🙂 Glad you liked it!! Andrea, I can’t wait to try this. Thank you! 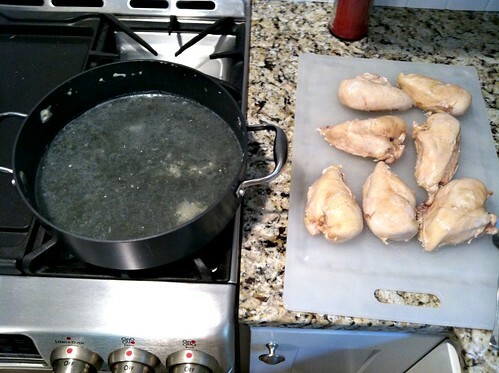 One question, do you save the water you cooked the chicken in or toss it? I wondered if it would be “worthy” of saving & using for chicken broth/stock? Jenny, I wondered this too, or could you use it to cook the rice in? Have you tried it yet? Oh My! I cannot wait to try this recipe. Thank you!! Yes, Andrea, I definitely will give it a try. Thank you so much! I literally laughed out loud when I saw this! This is exactly what I have cooking at the moment 🙂 Except I usually add some sour cream or mayo to the mix, and unlike you, I cooked mine in a casserole dish. I also have a kitchen full of dishes waiting on me in there….totally using your tip next time! haha — well Dave usually does the dishes around here so I try to go easy on him! I do the same with mac and cheese, I add cooked ground beef, frozen corn, mexican blend shredded cheese and salsa. 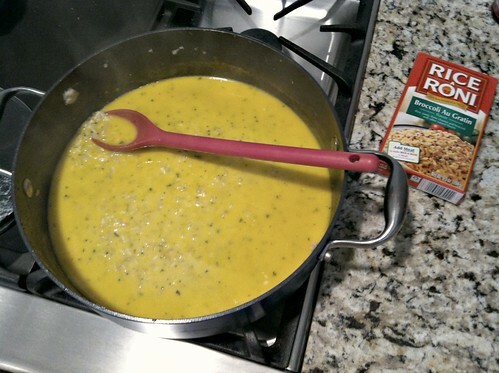 One pan only and it’s my daughter’s favorite. I have not tried this tip yet – but have read it more than once place. 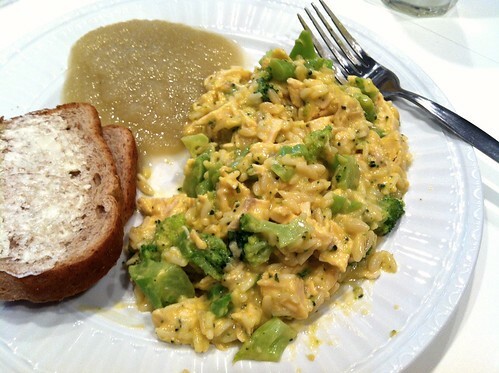 If you have a Kitchen-Aid mixer, you can shred a lot of chicken in a very short time! It works super well! 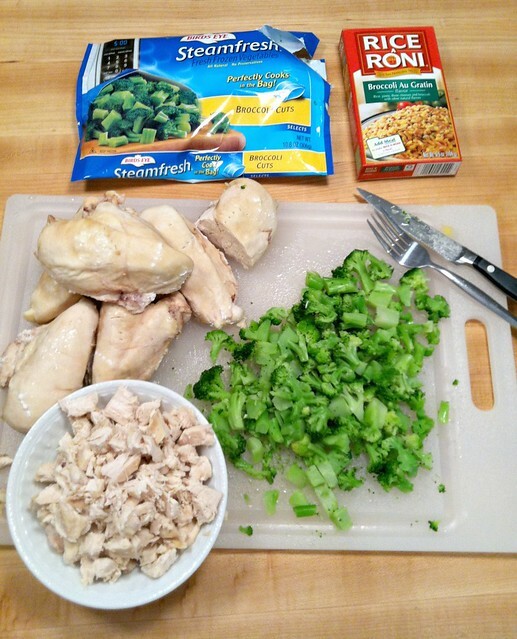 I’ll do several lbs of chicken in no time and then freeze the cooked, shredded chicken in dinner size portions. Saves me a ton of time! Great tip Amanda and Chris! Thank you!! That’s a great tip! I have to try it sometimes! I have a recipe for chicken rice, but I never used cheese in it, although i use cheese in my casserols, so it makes sense that i could use it in that one too. Also, if you use some soy sauce instead of cheese, it turns into a asian food type, which I also love!